You can’t just jump into an email marketing campaign, even if you’ve already got the perfect email address. Starting an email marketing campaign requires creating a solid strategy. and doing prep work. 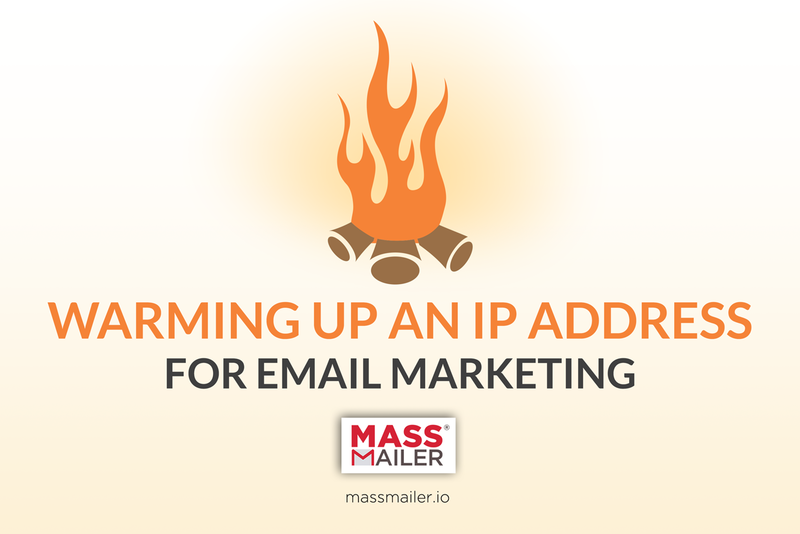 Part of “how to create an email marketing campaign” involves warming up an IP address. An IP address is what identifies your email server to other email servers. and ultimately it’s what determines your campaign’s reputation. So before you try to do email marketing or start sending to your email marketing lists, this is what you need to know. When you first start an email address, you may be wondering how to stop emails from going to spam. This is done by building reputation. The more emails you send that are high quality and engaged with, the better your email address reputation will be. You can get emails noticed through an IP warm up. As emails are sent out and reacted to, the IP address that they are being sent from will gain reputation. Marketing automation can be used to send emails slowly at first and then gradually “warm up” to sending hundreds or even thousands of emails every hour. It’s important to warm up, as otherwise an email strategy could quickly tank the reputation of its own IP address. Send emails at intervals, increasing in volume every hour. An email marketing API or email marketing platform, such as MassMailer, makes it easy for you to schedule these emails to be sent at the appropriate times. You can create an email campaign loaded with the right marketing content and have the mail sending service send out the emails as desired. Start with a low number. Start with five or ten emails every hour and gradually increase by a percentage every hour. You can send 5, 10, 20, 40, and then 80 emails, all building up to the number that you need to send to meet your strategy. At any time if it appears that engagement is waning, slow your warm up down. Track your metrics. If your emails suddenly stop being opened or stop provoking conversions, there may be something wrong with the content or the email deliverability. This is when you should take a look at your emails and your user behavior before continuing to “warm up” your IP address. Follow email best practices. You can either purchase email lists or engage in an email list building campaign either way you need to follow the best practices of sending good content, letting users opt out, and giving a clear and easy to understand call-to-action. Be careful with email lists. Whether you’re sending out a marketing newsletter or trying to send transactional emails, email lists can be useful. But in order to ensure that your emails are highly deliverable, you should make sure that the lists are easy to opt out of and all the emails are active. When you warm up dedicated IP addresses you can avoid the spam folder and ensure that your dedicated IP address has a good reputation for some time to come. One of the easiest ways to set up a warm up campaign is through the use of MassMailer. MassMailer is a mail sending service through which you can store and schedule your email campaigns making the process of warming up an IP address far easier.